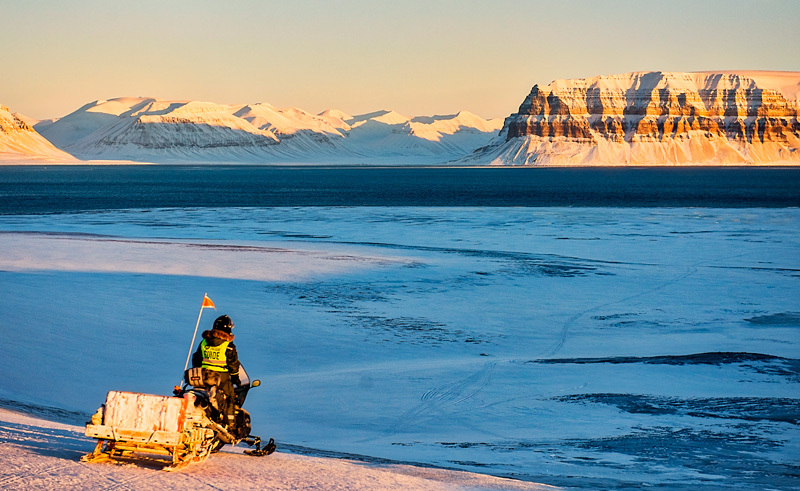 Snowmobiling is an exciting way to discover Svalbard during the winter months. Whilst this tour isn’t technically demanding, it will take you through the varied terrain that makes driving fun! You will head through the winding Helvetiadalen and arrive at Elveneset where the valley opens into Sassenfjorden. From here you can see the mighty Tempelet Mountain across the water. Svalbard’s impressive landscape will be surround you throughout the drive, and at the turning point, Elveneset, the guides will offer warm drinks and local stories before heading back to Longyearbyen. Price: from £155 per adult (twin share); from £210 single rider. Immerse yourself in beautiful Arctic scenery in two wonderful locations, often bathed in the northern lights.